Conviction Group aims to encourage young people to re-evaluate their perspectives on pivotal issues concerning their health and provide them with the tools to enhanced decision-making. Conviction Group provides mentoring services, speaking engagements and hosts educational forums. 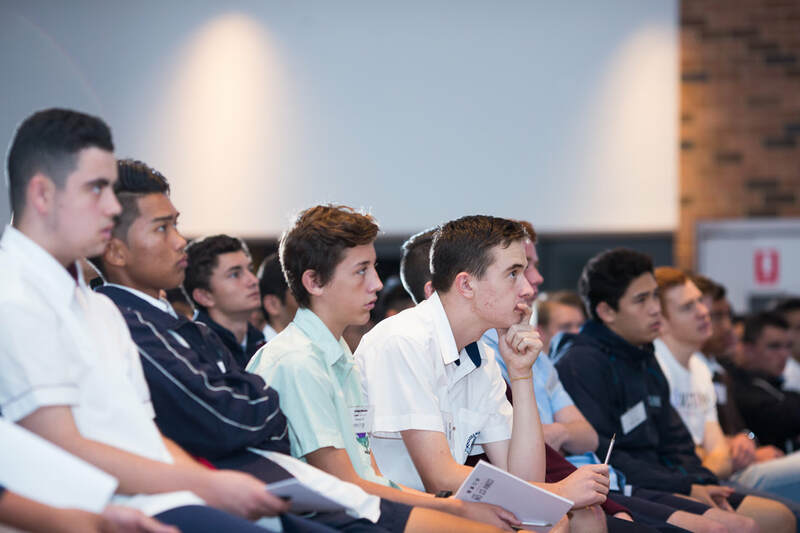 ​The Young Men’s Health Forum starts a conversation about young men's health. Our one day forum provides students with expert speakers who aim to inform, engage and empower all attendees on better decision making. Speakers focus on a range of different health and wellbeing related topics. In between speaking sessions students complete small discussion groups. Each group discussion is led by 2 of our facilitators who help students discuss and share perspectives. ​The Boys Mentoring Program is a structured course designed to empower students with refreshing perspectives on how to make better decisions for themselves and those around them. We ensure our programs are specifically tailored to suit the needs of students by allowing schools to select from a range of program modules. The program aims to challenge young men to become better individuals, improve self-confidence and build personal resilience. Our Presentations & Workshops are developed to offer, quality evidence based education with a relatable approach. The presentations have been tailored to cover the PDHPE life skills curriculum and the latest wellbeing structures set by the Department of Education.